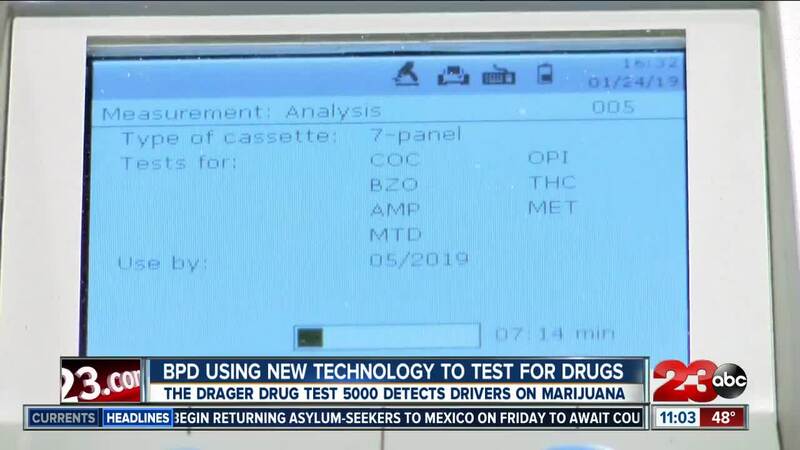 BAKERSFIELD, Calif. — The Drager Drug Test 5000 is the Bakersfield Police Department's new tool for cracking down on drivers under the influence of drugs. Unlike a breathalyzer test, the Drager tests for seven different drugs which include cocaine, opiates, benzodiazphines, cannibus, amphetamines, and methamphetamines. An oral swab is used to gather a saliva sample from a person suspected of being under the influence. BPD officials say the test is voluntary, however if a driver refuses can still be arrested depending on the circumstances. This weekend will be the first time BPD uses the new technology.